You know how they say less is always more? Well, Georgia May Jagger proved that rule fashionably wrong yesterday when she styled three of summer’s hottest trends together—to create one totally covetable look. Scroll through to check it out and shop each trend! 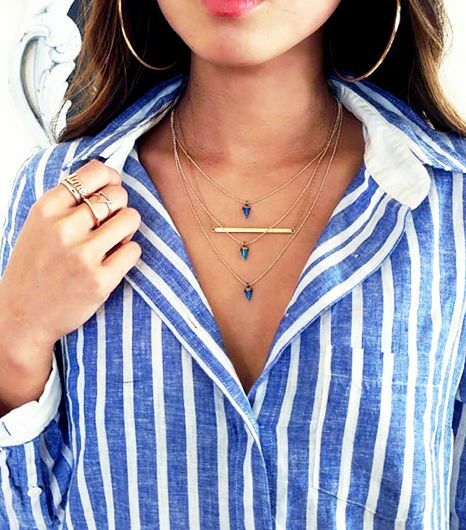 Accessorize your next look by layering two or more dainty necklaces—it’s the perfect way to add just a dash of glitz to your outfit. The slip dress has had quite the comeback this past year, but the latest take on the ‘90s-inspired frock? A surprisingly flirty high-cut neckline—total babe alert! If you really want to step up your shoe game this summer, we suggest investing in a pair of strappy statement sandals.